Heather Morgan - "Borrowed Heart"
Friday 5th October saw the release of Heather Morgan's debut album Borrowed Heart. Arguably best known as a song-writer (having co-written Martina McBride's Reckless and Brett Eldredge's Lose My Mind amongst others), Borrowed Heart was full of intriguing promise from when it was first announced and the finished product doesn't disappoint. Whilst some of parts of the album fall a little short, generally this album is a pleasure to listen to from start to finish and nowhere is this more true than the album's title track. Placed as the closing song on the album, Borrowed Heart is a thought-provoking, intrinsically sad track that will also certainly make you sit up and pay attention to Heather as an artist (if the rest of the album hasn't already done that!). Delivered with a compelling vulnerability, Heather's distinctive vocal sounds completely comfortable. A really impressive song that certainly makes for a strong title track. One of three solo writes on the album, Your Hurricane is another very strong song. Blending delicate vulnerability and gutsy strength to create a distinctly listenable experience, Your Hurricane feels both very well-produced and completely natural. Whilst Heather truly shines on the softer, more striped back sections, the production choices mean that she isn't overpowered at any point, leaving the focus completely on her vocals throughout. Arguably my favourite track on the album, each aspect comes together to create a track you will certainly want to hear time and time again. The rockier songs on the album have mixed success. We Were A Fire for instance is pleasantly surprising. A passionate vocal delivery from Heather grounds this gritty, rocky track. An intriguing choice to open the album, the 'dark' electric guitar hook will draw you in right from the start. On the other hand, tracks like Speckled Bird and Highway Robbery come really close to being really impressive additions however the production balance feels a little off compared to the majority of the other tracks, taking some of the shine off and leaving the listener with a feeling that something doesn't quite work. It's a shame as in principle both songs have compelling lyrics but there are a myriad of other songs on the album that I have found I would rather turn to. Borrowed Heart is certainly an incredibly impressive album from a very talented singer-songwriter. 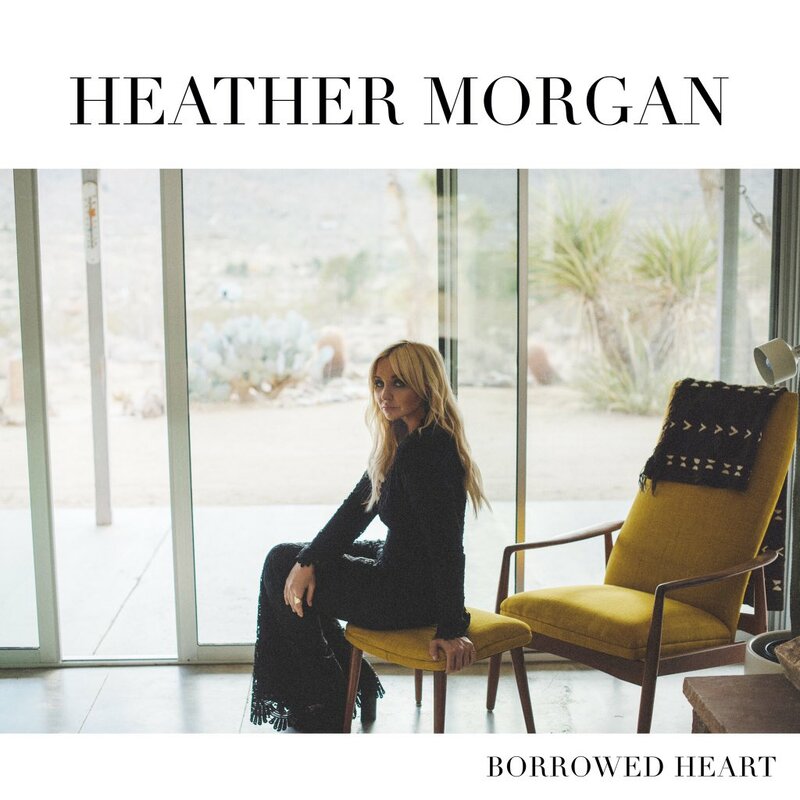 A welcome addition to this year's string of album releases, Heather Morgan has undoubtedly made a name for herself as a solo artist with this release. I would urge everyone to fully embrace Borrowed Heart and I will certainly be following Heather's journey through this and future releases. Labels: Heather Morgan "Borrowed Heart"